Read, Write, Listen: New Story and a #ROW80 Update! When it's a rainy day in Bavaria and the Zugspitze is covered in clouds, there's no hope for hiking, so it's the perfect time to post an update on writing, etc. Translation is wonderful! You learn so much through it... For instance, when my translator, the wonderful and talented Sabine Ströbele sent me the draft, I noticed that a line in which the Queen observes that she was never an ordinary, average princess now included a strange-looking numeric code: 08/15. I thought this was a typo, and asked Sabine about it - it turns out, this is a German idiom that dates back to the first World War when the MG 08/15 machinegun was the "standard issue" weapon, and was so ubiquitous that even today, someone or something that is ordinary, average, or lacking in originality is referred to as being "08/15." So, if you read German (or know someone who does!) please recommend this short, fun Märchen (fairy tale) for their reading pleasure! - Write 10 Chapters of The Perfidious Mister Wickham COMPLETE! 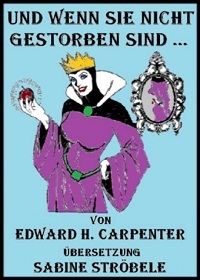 - Publish the German Translation of Happily Ever After COMPLETE! - Publish A Matter of Honor COMPLETE! 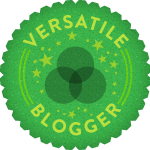 - Re-Design my blog COMPLETE! - Create a Kickstarter Project to support The Perfidious Mister Wickham COMPLETE!